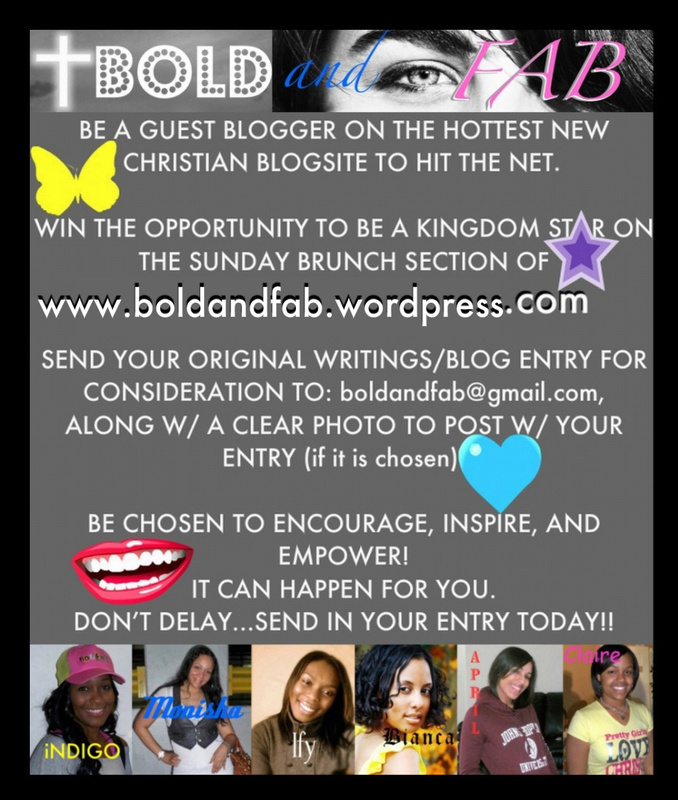 This entry was posted in Uncategorized and tagged blog, bold and fabulous, boldandfab, christian, God, guest blogger, submit, sunday brunch. Bookmark the permalink. 1 Response to SUBMIT A GUEST BLOG! !